Make sure everyone can hear you – use a megaphone! 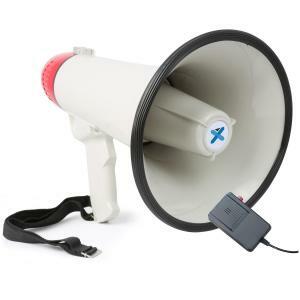 A megaphone speaker is a portable, hand held cone-shaped device used to amplify and project the user’s voice. 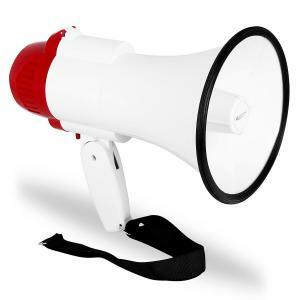 The old-fashioned kind was called an acoustic loud hailer, however today it almost always means one that runs on electricity. 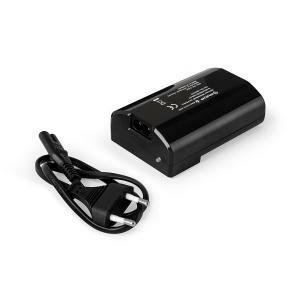 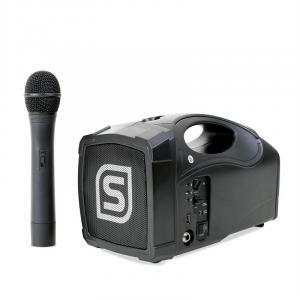 They act as small active PA speakers, with frequencies optimised for the human voice. 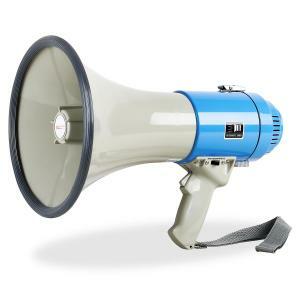 The first electric megaphones have actually been around since the 1920s, the technology was too heavy to be practical for portability. 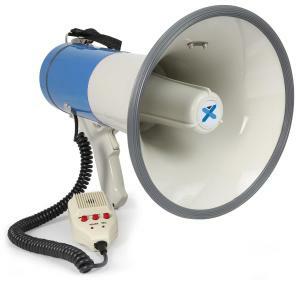 Advances in the late 1940s made today’s modern megaphone possible. 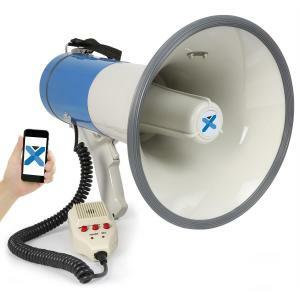 What we take for granted now was a huge technological advancement mid-last century. 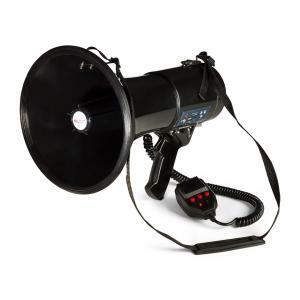 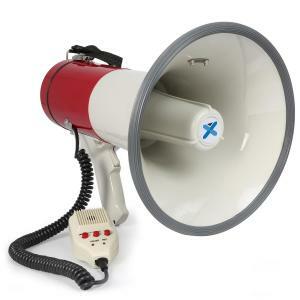 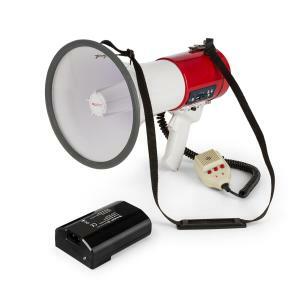 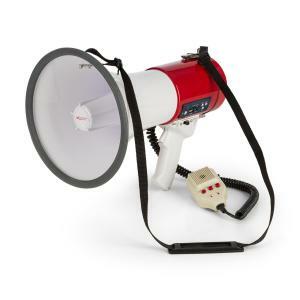 A modern professional megaphone runs on batteries, meaning the amplification is electric. 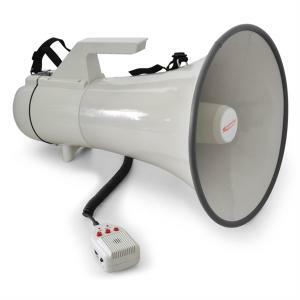 The fact that a loudhailer is portable means that’s ideal for outdoor gatherings, or any situation where mobility is important. 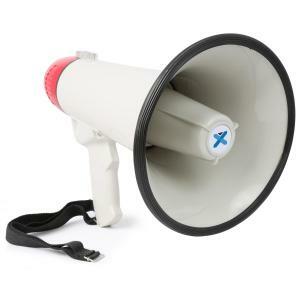 Some typical uses for a loud hailer include cheerleading, leading sports events, speaking at events or leading a large group of people. 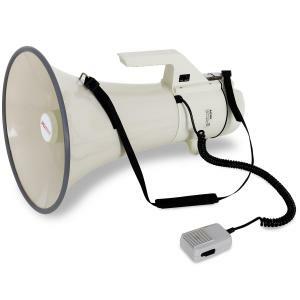 They are used everywhere for different types of demonstrations and rallies. 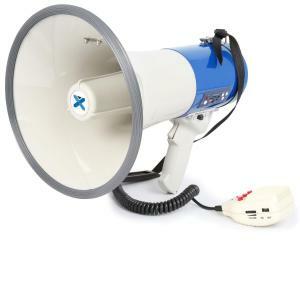 Of course in all cases, you’d look for a cheap megaphone for sale so that you can get the best deal. 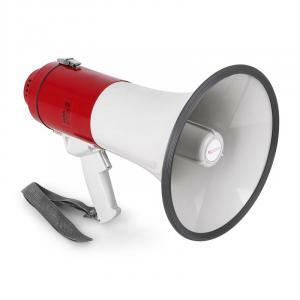 Unsurprisingly a mini megaphone costs less than its loud counterparts, and is rated for less watts. 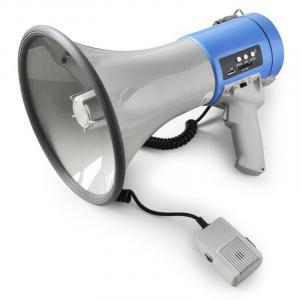 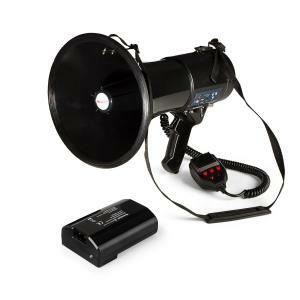 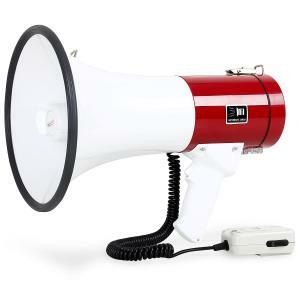 When shopping for a loud hailer, you’ll want to check the wattage rating to get an idea of how loud it is. 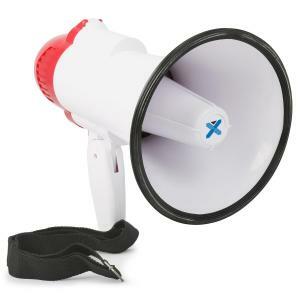 You might also look for extra features like a siren, if it’s waterproof, or suitable as a toy for kids. 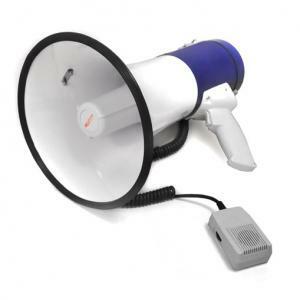 In essence, and electric megaphone is a handheld PA system (public address system), functioning similarly to wireless microphones. 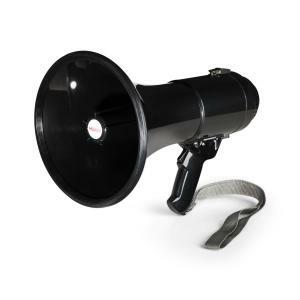 When looking for a more permanent solution for projecting your voice, you may want to consider purchasing a complete PA systems.